Amati futura was described by Dough Schneider, journalist for Soundstage!Network, as a masterpiece of modern hi-fi, which captivated him by “its mix of materials used (wood, leather, metal)” and by how they work magnificently together. 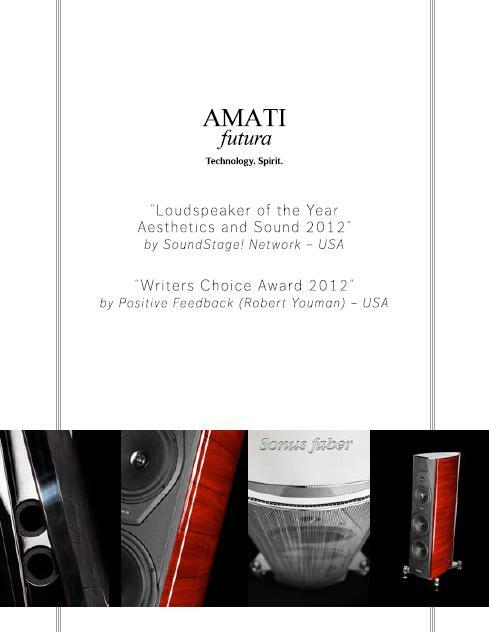 In addition to the title “Loudspeaker of the Year 2012” in the “Aesthetic and Sounds” category awarded by Soundstage!Network, Amati futura was given the “Writers Choice Award 2012” by the American magazine Positive Feedback, in a heartfelt review where Robert Youman describes the speaker as a great example of Italian art and beauty similar to Sofia Loren. Sonus faber, a point of excellence in the production of acoustic high-fidelity speakers, has closed the year with a long list of victories. They were obtained thanks to the success of its products, ambassadors in the world of knowledge, with experienced craftmanship and innovation that make the company a true font of all that is “made in Italy’. 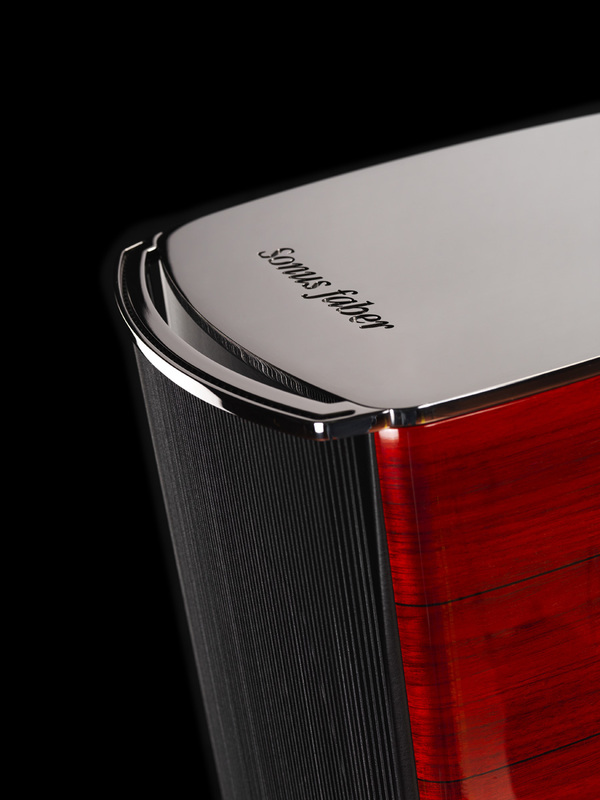 The most recent speakers designed and produced by Sonus faber have been awarded numerous international awards, and reviewed by the most respected sector journalists. Every speaker met with critical acclaim for specific qualities, which confirms the company vision in terms of strategic and business productivity. We have been able to maintain Sonus faber tradition whilst at the same time been sensitive and open to researching design, choice of new materials and innovation. Dit bericht werd geplaatst in Awards - Oscars, Luidsprekers - Enceintes, Sonus faber en getagged met audio, durob audio, electronics, herman van den dungen, hifi, music, sonus faber, speaker. Maak dit favoriet permalink.